Since 1963, we've been your full service auto body shop, collision repair specialist and glass repair facility that provides the best in customer service, collision repairs, frame and body work, painting and re-finishing for all makes and models, foreign or domestic vehicles. Since opening in 1963, our commitment to quality and customer satisfaction has always been our primary goal. 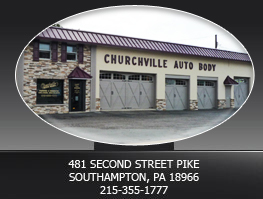 At Churchville Auto Body, we have the experience and trained staff to repair just about any make or model. We are certified to work on today's high end aluminum body vehicles. So whether you have a domestic or import, aluminum or steel vehicle, we have the skills, tools and facility to make your car like new again. We deal with ALL insurance companies and can work with your insurer to handle your claim quickly and effiiciently. Check out our services, and FAQs pages to find out more. And don't forget to contact us! Looking for an opportunity to work on some of the newest, hottest cars? 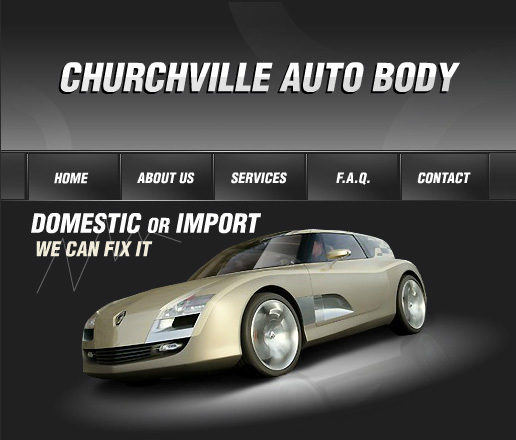 Do you have experience in domestic or foreign auto body work? 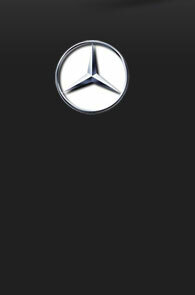 Do you want to get certified to work on aluminum body cars like those on Mercedes Benz and BMW? cav481@aol.com to start your career with our top notch organization!